From Shanta Gabriel during this beautiful season…Enjoy! Can you hear the Angels whispering to you? Listen with your heart. Allow your whole being to be receptive to these Divine Messengers who have watched over you throughout your soul’s existence. They are here now with one voice singing the idea of Unity within all beings. Making a joyful noise, they offer you the gifts of Divine Light and a Love beyond your understanding. Receive it into your heart and shine this blessed Light out into the world. Just be receptive now and allow Divine Grace to fill your being. This is one of the Angelic Gifts being offered at this time. Grace is needed to sanctify the Earth, and to bring greater coherence, respect and an honoring of the gifts the Earth supplies in abundance. It is time for the people to offer to themselves and to their planetary home the nurturing it needs to sustain life. When humans honor the Earth, they also honor the elements of themselves that make up the Earth. In fact, it is your birthright to live in harmony with the Earth, to feel Divine Love in your being and the power of Life Force surging through you in ever-increasing waves. Allow it to spark every cell in your body and increase love in your being. As you do this, you glow as a radiant light. 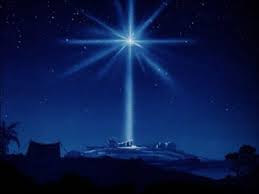 It shines forth from you and you become the Light to the World that the earth needs right now. It is a choice for you to make moment to moment, and it requires you to create an intention to receive the harmony you want in your life, and a mental flip of the switch within your thoughts to create it. Feel this Light in you that holds the divine qualities of Wisdom and Love, and share it with others. Radiate Light to your government and the world leaders. Send it to areas of chaos in the world, and to those who work hard to ease the suffering in those places. Transmit Divine Light to the environment, and to all the living beings that are not human on this beautiful planet. Don’t forget to shine the healing Light onto yourself and your families. This energy activates and reconfigures the power that inspires you into Divine Right Action. It is one way to bring harmony and overcome despair within yourself and the world. There is an Angelic representation for the Soul of the Earth and the Heavenly Realms. 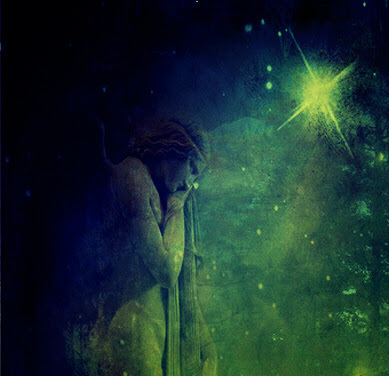 Your guardian Angel can work with these Angelic beings to bring more harmony within you so you can feel more connection to your Spiritual Source and more inner balance. Your Guardian Angel has been given the duty to help you to live in alignment with your goals and intentions for this life. Through your personal guardian angel, you can learn to live in greater peace with yourself as a prerequisite for Peace on Earth. This Angel is also offering to you the ability to feel Oneness and Union with your most Divine Self. As you have grown into adulthood, your Guardian Angel waits for you to ask for help.Consider that it is now time to ask. Your Guardian Angel has been with your soul since its incarnation, offering guidance and protection so you may find your Divinity and fulfill your spiritual destiny. 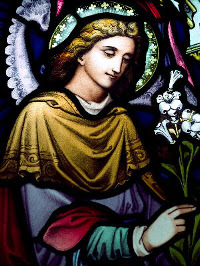 This beloved angel has intervened on your behalf to relieve your karma and wants nothing more than the fulfillment of your soul’s imperatives. Take time to feel gratitude for this Divine Messenger who lovingly cares for you and has watched over you throughout your life. There is a stillness of this season that pervades the northern hemispheres as the earth sleeps in the darkest time of the year. People know the sunlight will return, and it is the same with the spiritual realms. With faith, you believe that in the darkest times, the Divine Light will prevail. More information about the Holy Nights is available at ShantaGabriel.com here. Some Christian traditions honor the 13th night, January 6, as Epiphany. As the twelve nights progress, you can set a goal for true clarity and wisdom to enter your mind and heart during the twelve nights. Is it not appropriate for you to receive a clear epiphany about your life as well? Please enjoy a beautiful guided meditation from Archangel Gabriel and Shanta that celebrates the birth of the Christ spirit within you. Listen online at ShantaGabriel.com here. Also, be sure to read our Celebration of the 12 Holy Nights series. Available here. Join Shanta Gabriel and Shamanic Astrologer Kelly Beard for a powerful Solstice Teleconference to honor the return of Light into our world! BONUS: When you sign up for this conference, you will be gifted a FREE Solstice Reading from Kelly delivered via PDF. 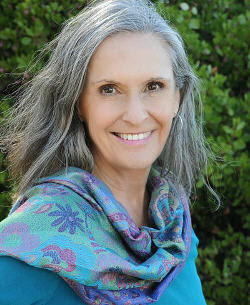 Shanta Gabriel is an author and a mystic, whose life is devoted to Bridging Heaven and Earth by alignment, immersion, and connection with the Archangels. She shares this work by facilitating and inviting people into a direct experience of Infinite Intelligence and Love.